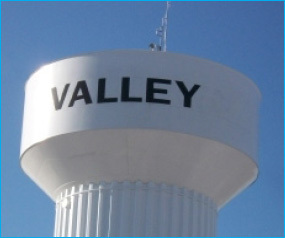 PeopleService began its partnership with the city of Valley, Nebraska on July 1, 1991. It has been a long and beneficial partnership that has seen both partners grow and prosper. The city of Valley has expanded noticeably as lakeside blue water developments have boosted the town’s overall population and changed the landscape of its real estate market as more high dollar homes have been built around these recreational communities. For more on this partnership and to inquire about what we can do for your community, contact Duane Grashorn or Chad Meyer.